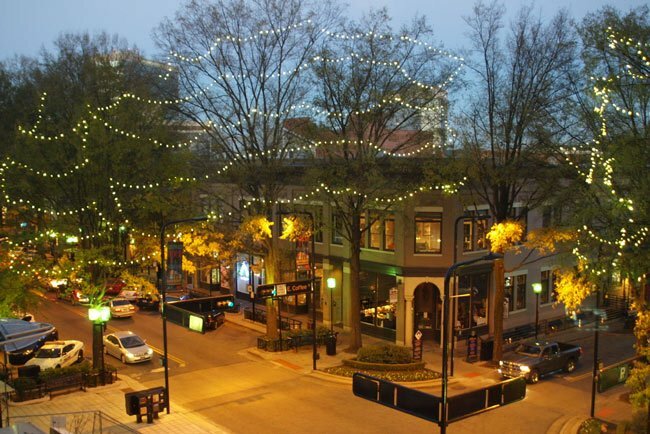 Downtown Greenville in the heart of the South Carolina Upstate thrives with an eclectic mix of historic buildings tucked within a modern cityscape. 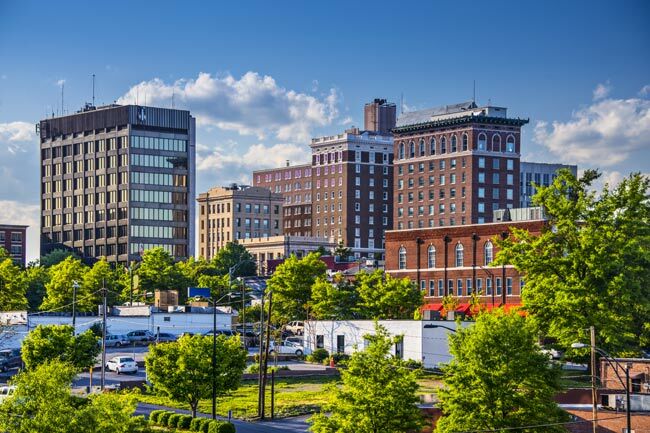 Scenic nature bursts through commercialism in this southern metropolis, offering attractions for both urbanites and outdoor enthusiasts. 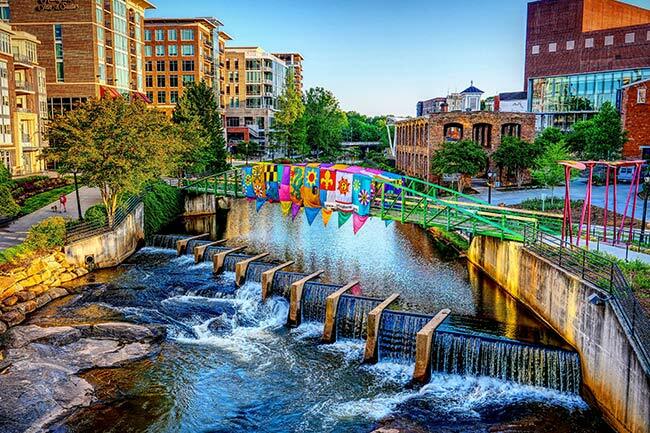 Flowing through downtown is the Reedy River, whose lush banks attracted settlers following the Revolutionary War. In 1788 Lemuel Alston purchased 11,000 acres surrounding the river and designed a community with 60 lots. 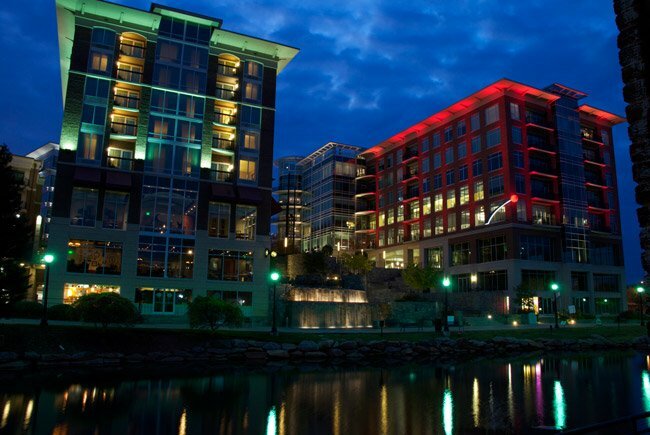 Alston planned to call his development Pleasantburg. Greeneville County – later shortened to Greenville County (no “e”) – was established in 1786 and named for war hero General Nathaniel Greene. A log cabin-style courthouse was erected on Alston’s land near the river in 1794, and the surrounding settlement was called Greeneville Court House. As a result, Alston’s Pleasantburg just missed becoming the town’s name, and the town was chartered as Greenville in 1831. The city suffered financial setbacks when the boll weevil destroyed much of South Carolina’s cotton agriculture in the 1920s, stalling textile production. This crisis was compounded by the stock market crash of 1929 and subsequent Great Depression. 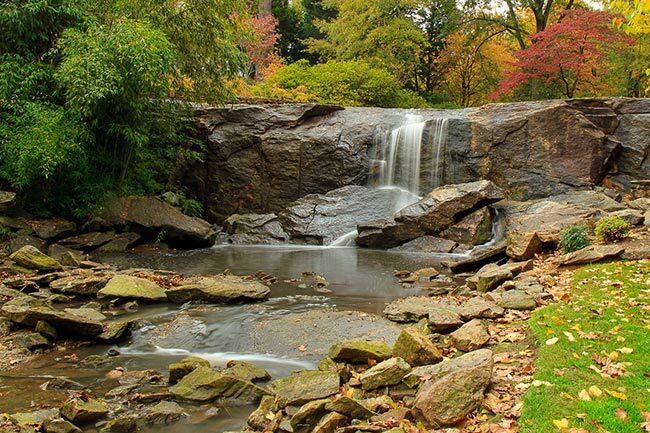 However, Greenville bounced back with New Deal projects such as Greenville High School and Paris Mountain State Park. 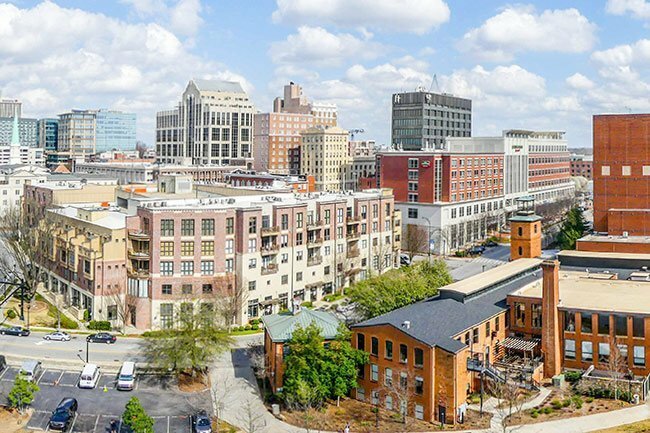 Following World War II, four major highways were developed, suburban areas were established, and students continued to flock to highly-regarded Furman University, which moved to its current location after beginning construction on the larger campus in 1953. 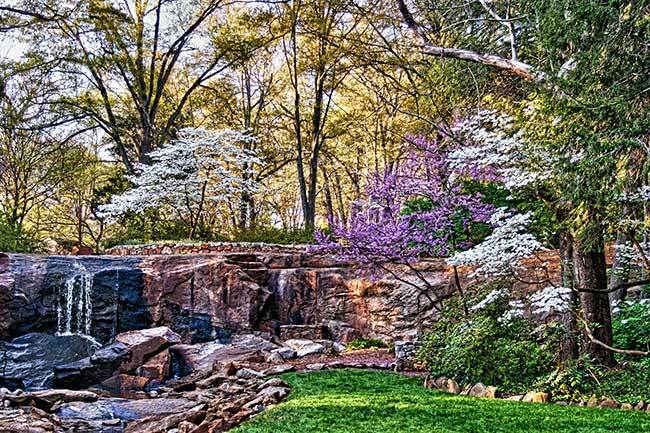 In 1967 the Carolina Foothills Garden Club acquired 26 acres in the downtown area along the Reedy River and developed Falls Park. 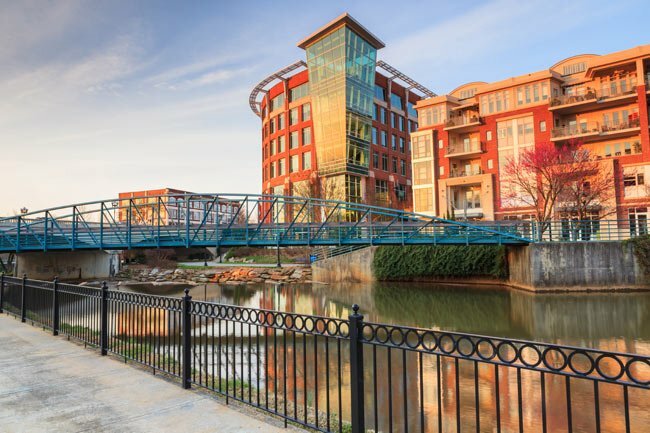 The park was revitalized in the 1990s by landscape architect Andrea Main, and the river and park – along with its nearby restaurants and shops – consistently draw people to Greenville’s downtown. 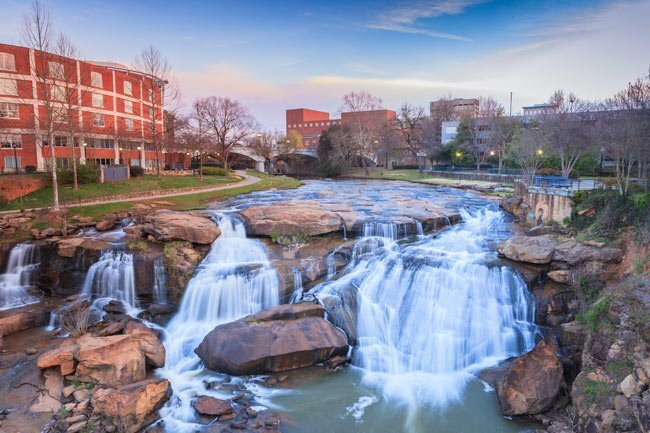 In fact, in 2013 Southern Living magazine named Greenville one the South’s “Top Tastiest Towns,” Trip Advisor designated Falls Park the “9th Best Park in the United States” the same year, and in 2011 Forbes Magazine called Greenville one of “America’s Best Downtowns.” These are but a few of the city’s numerous awards and rankings. This depot, built in 1805, once served Southern Railway, which was one of the largest railroads in the South. 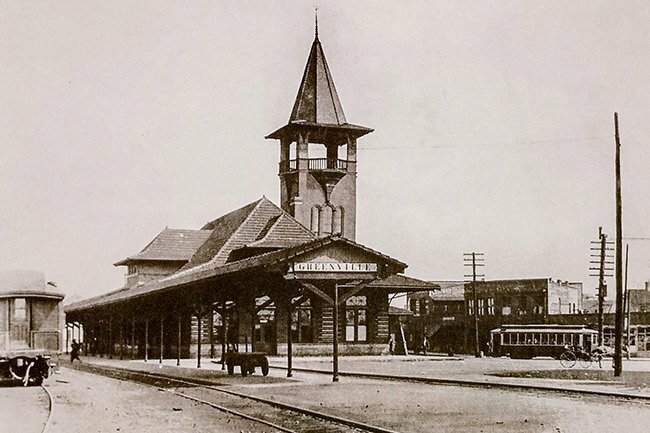 The depot stood at the end of West Washington Street in Downtown Greenville. By 1982, Southern Railway merged with Norfolk & Western forming the Norfolk Southern Railroad, the depot was demolished in 1988.